I like simple summer cooking. Therefore, the less amount the oven and stove are on, the better for me. The Crock-Pot becomes an easy solution. For Miss A’s birthday I made a BBQ pulled pork in the Crock-Pot. It was about 95F outside. I didn’t have to do much cooking, just quick and easy prep and then serving eight hours later. Want some easy Crock Pork Pork? Start with your hunk of pork. I was cooking for masses of people. Therefore, I started with 18 lbs. of pork. You can do this with any size of hunk of meat though and a good sauce. My brother-in-law’s family has their own sauce I can buy locally. My sister designed the label. 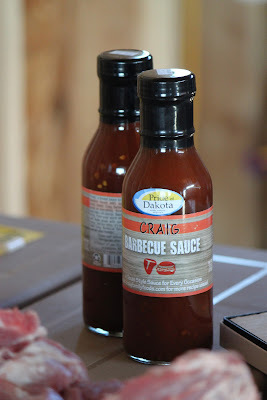 I use Craig Barbecue Sauce. 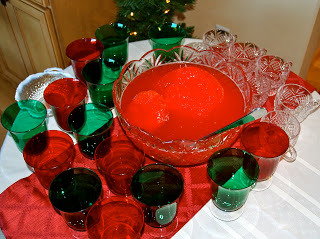 You can mix up your own or try a store bought bottle of your favorite. Cut up your meat into boneless chunks and coat with barbecue sauce. Then add Coca-Cola. For my 5 quart Crock-Pot, I added 24 oz. of Coke. I turned on low and forgot about it. We were celebrating Miss A’s birthday at our local prairie lake. Auntie Lori made homemade cake pops that are better than any cake pops you can buy. My mom brought salads adn cookies. I had additional sides ready to go and five dozen buns for the pork. The longer the meat is simmering, the more tender it gets. After eight hours, Nathan and I drained off the liquid and cut the meat. It should just fall apart for you and be tender and juicy. 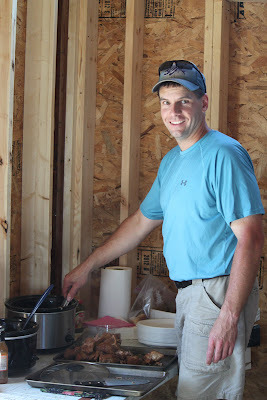 We had two Crock-Pots cooking in our unfinished small lake cabin. It was hot and nothing in the cabin is finished other than a vitally important flushing toilet with a door on the bathroom. The Crock-Pots served as our critically important “kitchen”. We managed to get a family picture as Miss A blew out her three candles on her homemade cake made by Nana. Both my family and Nathan’s family were there plus some of Anika’s friends and families came to join us. Miss E and Auntie K made flavored Icee’s for a cool refreshment which was a big hit. We served the pork on homemade buns of my mom’s and store bought buns from our local grocery store with additional sauce on the side as well as cheese slices and pickles. You can serve with or without buns. A side of fresh tomato salad, pasta salad or potato salad all made this easy pork a big summer family meal hit. Pork, Barbecue Sauce and Coca Cola in your slow cooker Crock-Pot. Bingo. Feed your family and keep it simple. What’s an easy summer meal you’re cooking up these days? I would love some fresh and new ideas. Linking up with Beyer Beware for Hunk of Meat Monday. Looks really good! I’m craving a pulled pork sandwich now! Ha ha, I had to do a double take over the EIGHTEEN pounds of pork 🙂 I bet it was delicious!